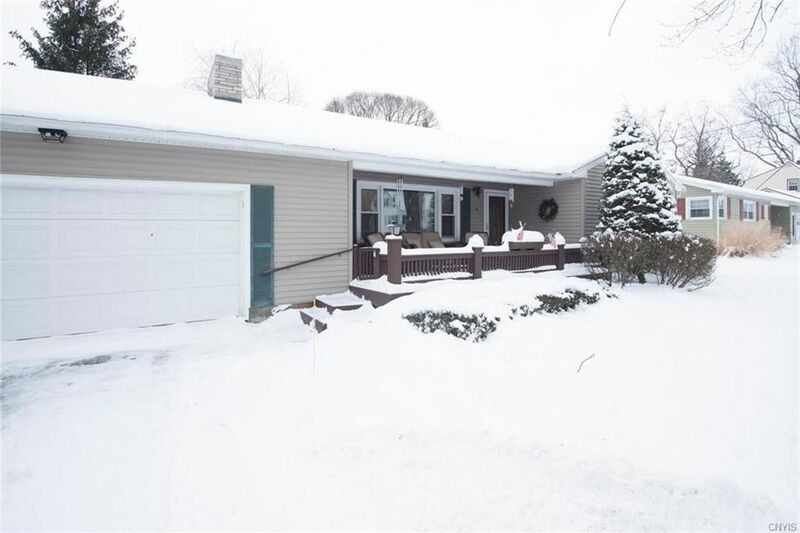 This well maintained 3 bedroom, 2 1/2 bath ranch has 1850 sq ft of living space, large modern kitchen, living room, dining room and a year round heated sun room. The large full finished basement has a laundry room, 2nd full kitchen and an outside entrance. Beautiful hardwood floors, plaster walls, plenty of windows and natural sunlight, large master bedroom suite with full bath, large walk-in closet and private deck. The home is on a corner lot in a park like setting - 120'x120', 2 car garage with hot water, double paved driveway, wrap around concrete patio and planters, deck and a private backyard. The home has a Tennessee Marble fireplace (gas fired), plenty of closets, open floor plan and is move in ready. Four zone heat control - this home is a must see! Directions: Heading North on North St - just passed Standart Ave - turn right onto Dayton St. The home is 2/3 down on the right. At the corner of Dayton St and Devon St.